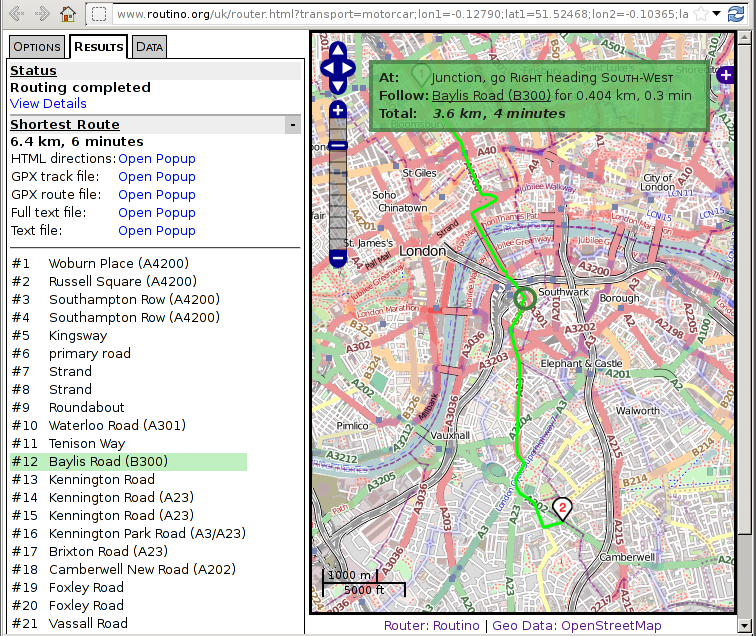 A live demonstration of the router for the UK is available but here are some screenshots anyway. 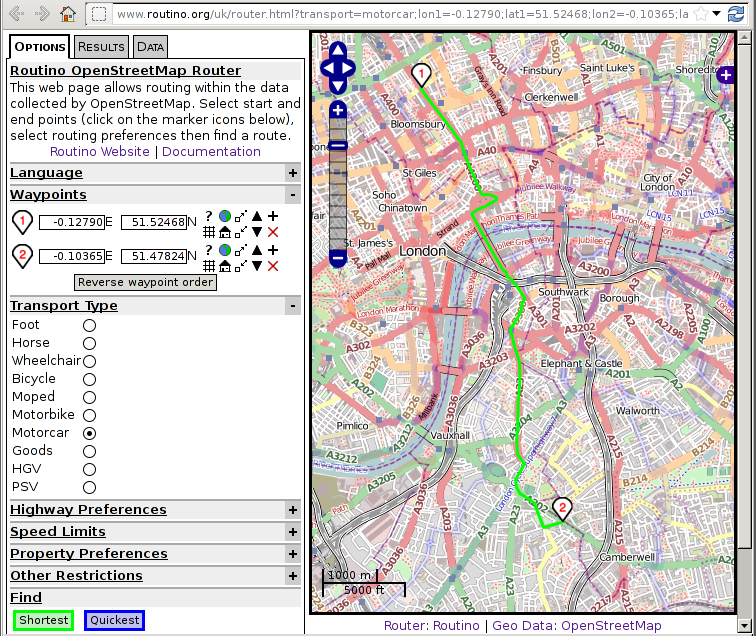 The first step in using the Routino web pages is to define the configuration of the route that is to be calculated. When the route is calculated it is drawn on the map. The instructions for each step can be seen by holding the mouse over the list on the left and the point is highlighted on the right. 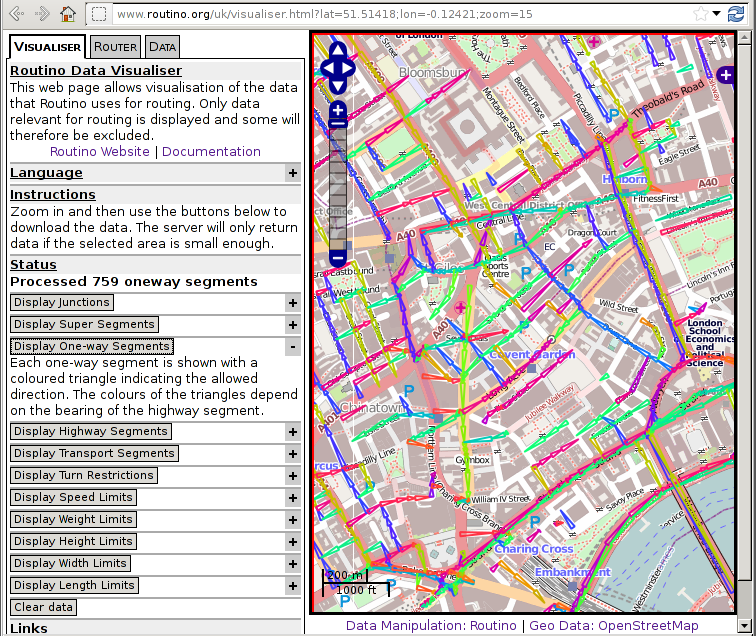 An additional feature of Routino is the ability to visualise the data in various ways. The picture below shows one-way streets highlighted with arrows (colour coded according to their heading). In this case the slightly unusual looking route taken just North of the river can be seen to be due to the oneway streets.